The New Zealand Settlements Act of 1863 provided for the confiscation of Maori land when the Crown determined an iwi, or a significant number of members of an iwi, had been in rebellion against the Queen. On 31 January 1865 “Middle Taranaki” was declared a confiscation district. The area commenced at the Waitara River mouth and extended to the Waimate Stream in the south, within which eligible sites were to be taken for military settlement. 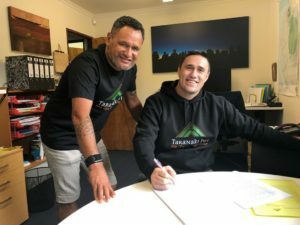 Oākura and Waitara South were then declared as “eligible sites for settlement for colonisation” being specific areas within the wider ‘Middle Taranaki’ district. In September of that year two other districts were declared, Ngatiawa and Ngatiruanui. 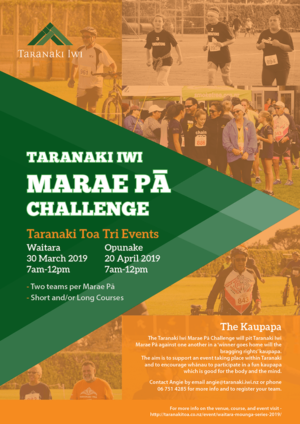 The Ngati Ruanui and Middle Taranaki districts included the entire Taranaki Iwi rohe and the Crown assumed ownership of all the land within that district. A Compensation Court set up under the New Zealand Settlements Act was intended to return land to some of those affected by the confiscations, principally those who were deemed not in rebellion against the Crown. Every member of Taranaki Iwi who sought the return of their land was required to do so through the Compensation Court. Those deemed rebels could not make claims. 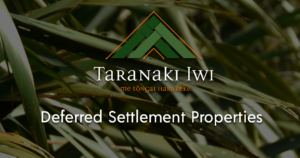 Every member of Taranaki Iwi who sought the return of their land was required to do so through the Compensation Court. Those deemed rebels could not make claims. In 1866, the Court made 147 awards totalling 20,400 acres for the whole of the Taranaki area. The awards were made via land scrip and promissory pieces of paper to individuals (and mostly settled out of court) rather than iwi, the customary way in which we had held title to our lands. As the passing of the New Zealand Settlements Act and Compensation scheme began to take effect. The erection of strong fortified redoubts by Imperial troops was put into action with a network of smaller structures manned and settled on land owned by Taranaki iwi loyalists and rebels alike. The various redoubts and blockhouses (Fort Robert, Pahitere, Kaitake, Timaru, Stoney River, Tataraimaka and Allens Hill) on newly confiscated lands were erected between 1863 and 1865 and became the base for operations for Crowns southern advance into Taranaki Iwi territory. With bolstered numbers of troops and heavy artillery to maintain their positions, an on-going factor of confiscation was incremental, advancing forward while placing military settlers behind the lines to protect the peace. This resulted in a whole new level of resistance under Te Ua Haumēne Horopāpera Tūwhakararo.